Aurelio Baglione, Winchester Financial Corporation (Winchester Financial) and its affiliates are pleased to announce the purchase of 436 Huron Street, Goderich, Ontario. 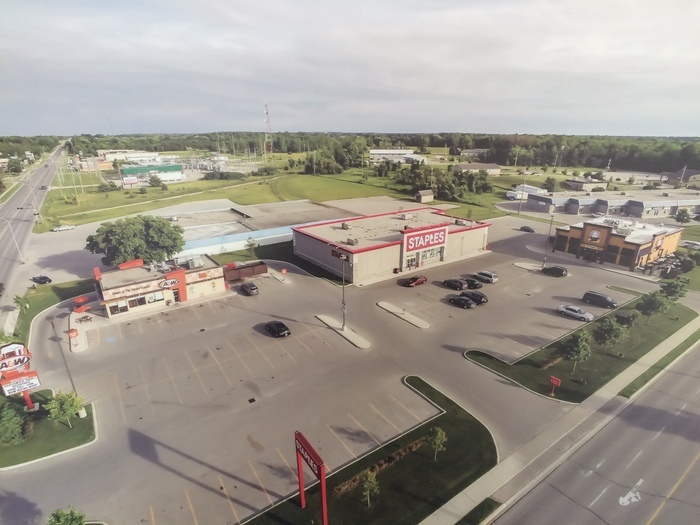 With the acquisition of this property, Winchester Financial now adds an impressive highway-fronted commercial property to their portfolio, which already consists of numerous holdings in Canada and the United States. Winchester Financial specializes in acquiring, developing, and managing commercial properties that aren’t currently meeting their income potential. Aurelio Baglione, President, has 30 years of experience and has a well-seasoned property management department and a team of real estate professionals. Why Focus on Commercial Properties? The commercial real estate sector is traditionally one of the safest bets when it comes to investing in real estate. Even during the times of economic turmoil of recent years commercial property cash flow suffered very little. The key is to lease to quality tenants and remain vigilant in the leasing of vacant space. This makes our commercial property portfolio typically more stable even in times of economic uncertainty. This is in part because you have the leverage of knowing the tenant likely isn’t going to just walk away from their business—at times when the economy is less stable, commercial tenants will have just as much motivation to see the tough times through as a property owner does. The commercial real estate market in the Ontario area continues to grow. More people than ever are looking to small-town, Ontario as an investment alternative to Toronto, and all types of commercial properties—office, retail, and industrial—have been highly sought after in the last few years for their huge upside potential. The property is strategic as it backs up to a Staples store and is just down Huron Road from a major development that includes a Wal-Mart. Winchester Financial Corporation owns and manages over 1 million square feet of real estate in Canada and the U.S., with the majority of property being located in Ontario. Winchester Real Estate Investment Trust Ltd. is the property management arm of the Winchester Financial Group.